HealthKart Apple Cider Vinegar with Green Tea has natural goodness of Apple Cider Vinegar and Green Tea to support weight management and belly fat reduction. It naturally detoxifies which helps in getting rid of impurities from body before they can accumulate and cause damage. 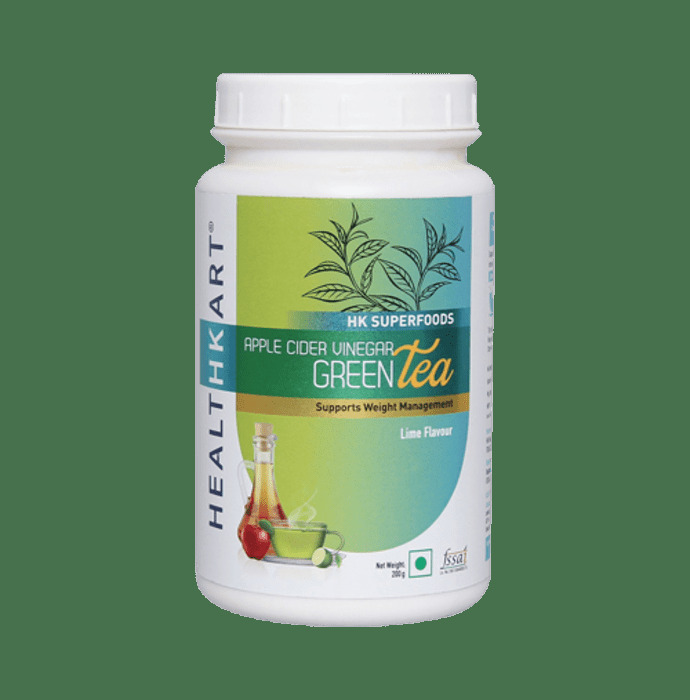 HealthKart Apple Cider Vinegar Green Tea comes in lime flavor to refresh and revitalize instantly and contains no added sugar, preservative or color.